Why couldn't you use the top of your front loading machines? I LOVE the color of the room! And the door is handy too! Meghan--the washer is always covered with detergents, stain removers, etc. I place the dry clothes right on top of the dryer in a big pile, so I needed another surface for folding and sorting. 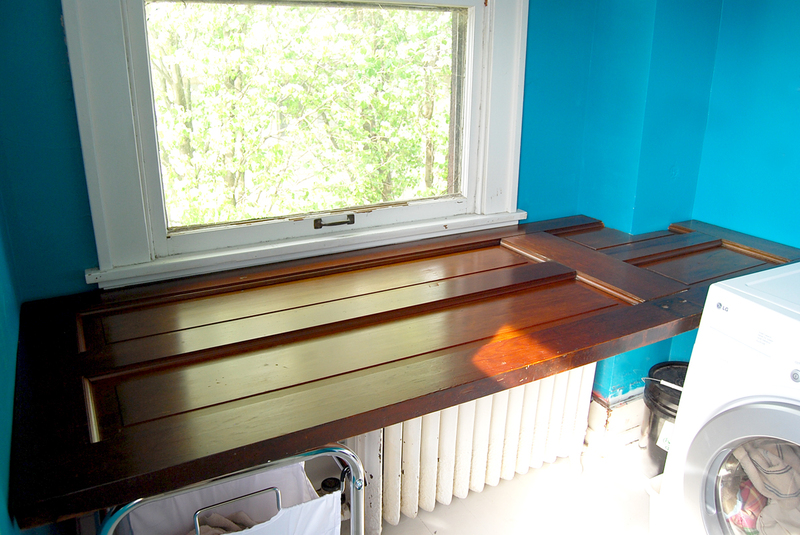 Michelle--it's a crazy color (from the previous owners) but I actually like it. And it's perfect for a laundry room! When else can you get away with painting your walls a vivid turquoise? 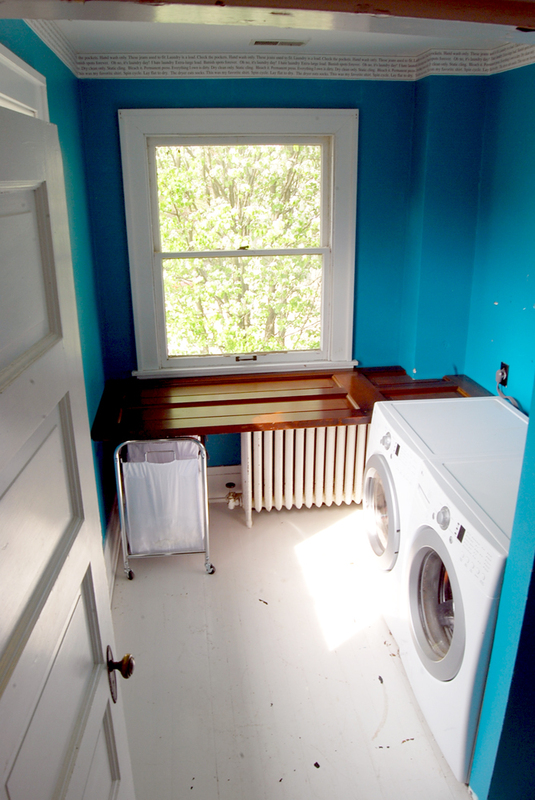 My laundry room is only large enough for the washer and drier. :-( I have different laundry baskets for different colors. The goal is at the end of the day, take off dirty clothes and put in correct basket. Baskets are in our closet. What a great idea! The look is really quite striking, too. I'm definitely filing this idea away for future use--thanks! This this looks (and probably functions) great! I love when you're looking, looking, looking for something, can't find it (that's not the part I love ... ), and are eventually forced to be more creative. You so often end up using something you already have. That looks beautiful - and I love the re-use of something from the house. Almost makes doing laundry enjoyable. Almost. I also LOVE the color of that room! 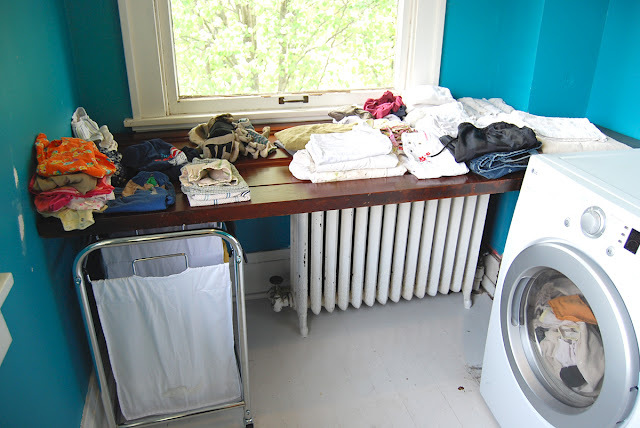 It is so fun for a laundry room! And the door is great. Love the whole look! It looks great, and how satisfying to have something done in one day!